What do Gas Boilers and Mark Twain have in Common? 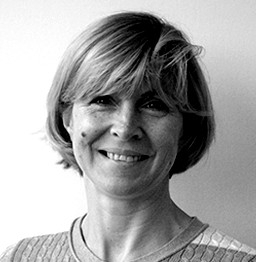 | BSRIA Blog - Opinions and insights from BSRIA Limited. 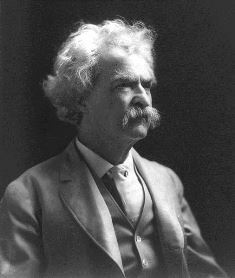 What do Gas Boilers and Mark Twain have in Common? It is all happening in the UK now Green Deal has been kick started and the long awaited RHI scheme for residential consumers has serious chances to become reality at the beginning of 2014. The government is working on the next revision of Building Regulation that should be published late in 2013 and might change the way the standards for energy efficiency and carbon emissions will be set in the future. There are talks of aiming to sell a million heat pumps by 2030 this against a backdrop of fears about electricity shortages by 2015, during 2012 the electricity generation from coal has increased. At the same time gas imports for the UK are increasing and gas as well as electricity prices are on the rise. The HVAC industry are trying to find a clear path for the development that will suit both, government targets and the need of consumers but it often proves to be a contradictory task. We have seen, recent years the introduction of many different technologies that take advantage of renewable sources to provide heat or electricity or both. They are usually energy efficient and help reducing CO2 emissions. They have all been entering the market in a truly competitive spirit and we have all read articles predicting the demise of gas boilers in favour of heat pumps. Certainly heat pumps have an important role to play, particularly if they are installed in the environment where electricity is generated from renewable sources. We have seen it in other countries in Europe. Sweden, for example, long before the Kyoto protocol were producing electricity from hydro sources and today renewables account for around 45% in electricity production and further 38.1% comes from nuclear plants generation. However electricity in Sweden is second most expensive in the European Union. But along with increasing electricity prices, for decades, the Swedish government has continually promoted the use of products that help reduce the use of electricity, notably efficient heat pumps. Today the focus is shifting towards controls that are seen as a further important tool to improve energy efficiency of buildings and also towards on-site electricity generation. On-site electricity generation and controls are of increasing importance in Germany as well. After heat pumps and solar thermal have nearly become mainstream products in the country, PV, CHP, controls and in recent years Smart Home technologies are seeing sharp increases in sales. German “Energiewende” (Change in energy generation and usage) that will see the share of renewables in electricity production going up from 17% in 2010 to around 60% in 2030 is very costly. To help offset sharp electricity price increases the government is promoting efficient, controlled use of electricity aiming to cut electricity consumption by 10 % until 2020 and by 25 % until 2050. Whilst there is a drive to produce electricity efficiently, Gas will certainly not be phased out by other solutions in the foreseeable time. Not in Germany, not in the UK. Boilers and cogeneration boilers will be needed to help balance the electricity grid that has to cope with increasingly uneven supply. So far it is clear that it will hardly be possible to cope with the challenges presented by the ambitious EU energy goals using one ideal solution. Combination of products will be needed to respond to the increasingly close interrelation between energy production and use in buildings, so despite Government policy promoting one technology the reality is far removed.